The Mount Pleasant Area Chamber Alliance has a strong partnership with America’s Small Business Development Center. This past year, SBDC Iowa has worked with nearly 17,000 clients, helped create 7,450 new Iowa jobs and helped start 1,354 new businesses. The SBDC supports the collaborative economic development of Iowa by providing entrepreneurs and businesses with individual consultation and educational resources necessary to assist their businesses to succeed. 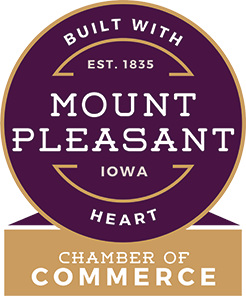 Janine Clover, Regional Director for the America’s Small Business Centers in Southeast Iowa, holds office hours at the Chamber by appointment. If you are interested in starting a business in Henry County, please contact the Chamber office and we will be glad to put you in touch with the knowledgeable staff at the SBDC.